If you’re one of the 43 million Americans with student debt, you’re probably all too familiar with student loan servicers — companies like Navient/Sallie Mae, Great Lakes, Nelnet, and FedLoan Servicing. Have any of these companies, who are paid by the government to service student loans, ever caused you stress? If they have, the Consumer Financial Protection Bureau (CFPB)— the agency dreamed up by Senator Elizabeth Warren — wants to hear about it. There is no shortage of student loan horror stories. Servicers were found to have deliberately maximized late fees and over-charged borrowers who were in income-based repayment plans. Sallie Mae was reported to have hounded family members for huge sums of money following the death of a loan’s co-signer. And Navient was sued by the Department of Justice for systematically overcharged members of the military. In an attempt to improve the service, and hopefully avoid abuses going forward, the CFPB is asking the public to weigh in. Have you had problems with your servicer processing payments you make? Issues being transferred to a new servicer? Been told confusing or outright incorrect information? The Bureau wants to know about it. 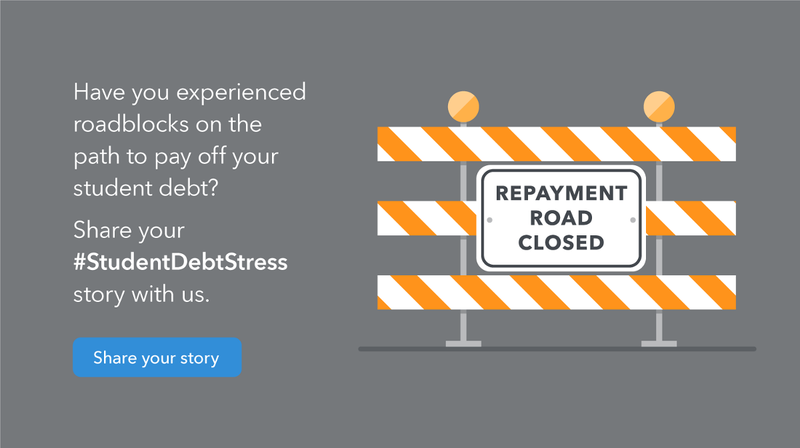 Image via the CFPB’s “Tell us about your student debt stress” blog post. The CFPB’s website includes a link that will generate an email that you can then fill in with your experience. Your story will then be included in the public record. Comments are being accepted from now through July 13, 2015. The CFPB will use the comments to find ways to improve and strengthen student loan servicing. But if you need help now dealing with a problem with your servicer, you can lodge a complaint against them in the CFPB’s complaint database. The CFPB will review your complaint, get more information from you if needed, send the complaint to your loan servicer, and work to get a response. Searching the CFPB’s complaint database for Navient shows that borrowers have already raised issues ranging from “collecting debt not owed” to “frequent calls” to even “impersonating an attorney.” Have you experienced problems like this from Navient, Great Lakes, or another student loan servicer? After you’ve submitted a comment or a complaint to the CFPB, I encourage you to share your experience below, by writing a response.